More than three years after a tornado destroyed most of Greensburg, the town has a new community center, thanks to help from across the state. 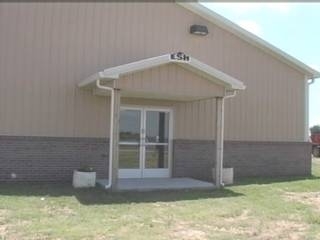 The new community center sits on the county fairgrounds. The facility was built by the generosity of people all across the state. Taylor got the ball rolling right after the tornado hit Greensburg in May of 2007. Groups of plumbers, pipefitters and metalworkers set out to build the community center. The mayor of Greensburg could t be prouder. The building is opening just in time for the Kiowa County Fair next week. The energy-efficient facility will be home to all kinds of community activities in years to come. Donations came from all over the United States and Canada to help build the community center. The center will be handed over to the county and opened to the public next Tuesday.